Rate of Fire 12 r.p.m. Notes The type 01 47mm gun was developed to replace the obsolete 37mm guns and give the Japanese a decent chance of engaging enemy tanks with some parity. It was an improvement on the earlier designs and was light and had a low silhouette. It could knockout a medium tank at around 500m, which was adequate for the role it was designed for. 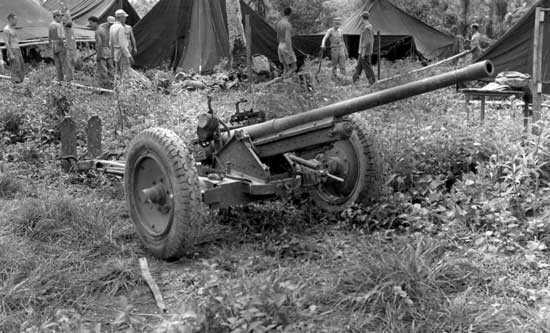 There was never enough to go round, which meant that the 37mm had to be kept in service.